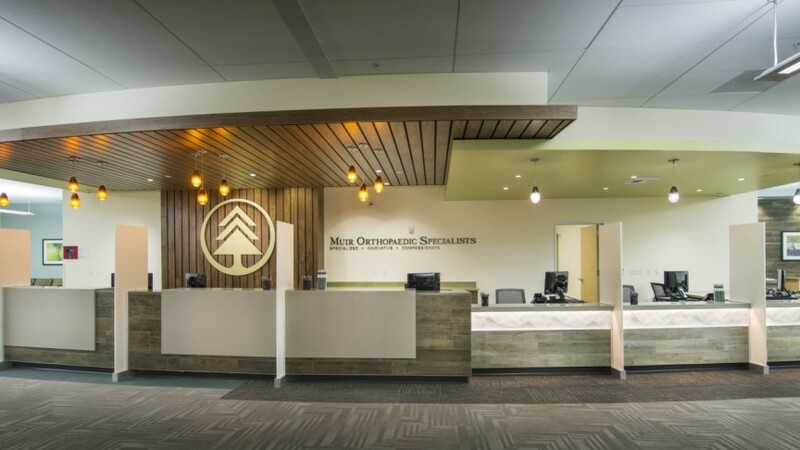 Having outgrown their current facility, Muir Orthopaedic Specialists relocated to a larger building down the street which would accommodate their increased patient capacity. 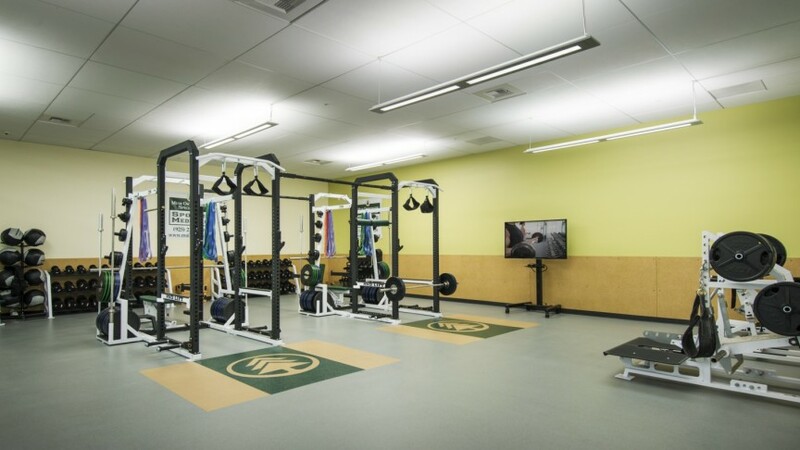 With the expansion of their physical therapy program, Muir will be able to offer more advanced weight systems and serve local high school, college, and professional level athletes. Boulder Associates designed the graphic artwork as visual orientation pieces that served as landmarks and assisted with wayfinding. 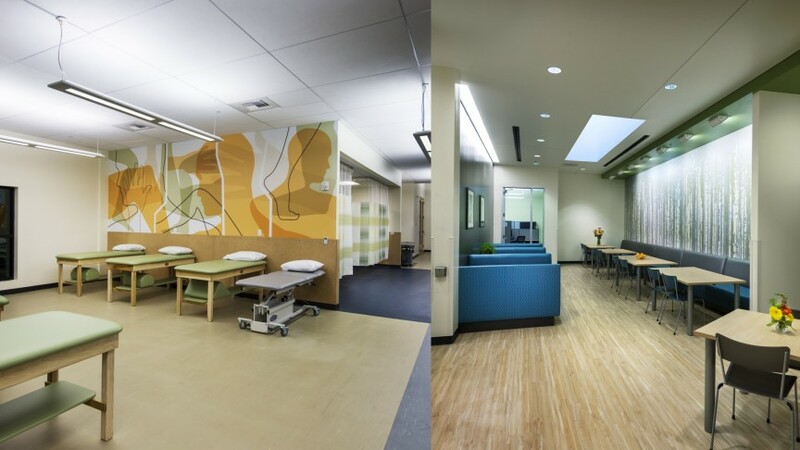 Color waves were coordinated with the carpeting and paint to help guide patients through the space. 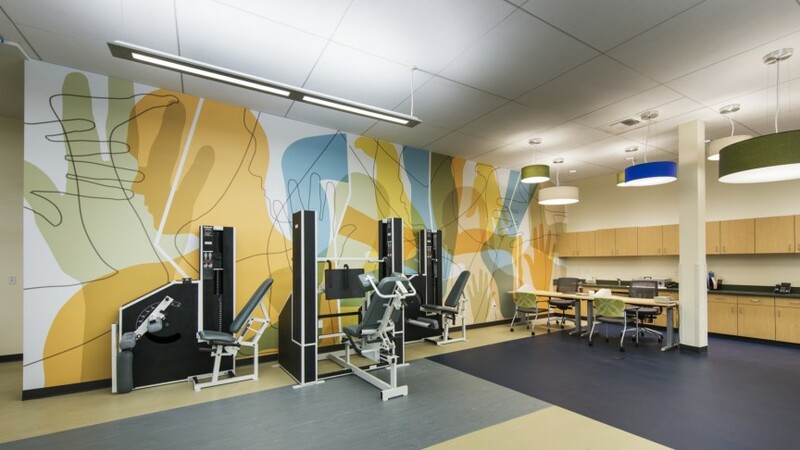 To compliment the facility's purpose and enhance the space, the artwork was designed with a softer, more stylized feel that featured legs, arms, and knees.